ST. PAUL – Minnesota (Sept. 24, 2018) – To help address the gender and opportunity gap in tech, and guide young women interested in computing, the Minnesota State – IT Center of Excellence with its partners now seeks award applicants through November 5th, 2018. The National Center for Women & Information Technology (NCWIT) initiated the award in 2007 to encourage young women interested in computing, introduce them to leadership opportunities in the field, and generate visibility for women’s participation in computing-related careers. While efforts to narrow the gender gap in the tech industry have received renewed attention, women made up only 26% percent of the nationwide computing workforce in 2017, and less than 10% percent were women of color. Award selections are made based on the interests, accomplishments, demonstrated leadership, and community involvement of young women in computing and tech-related activities. Prizes for the award winners include access to college scholarships, tech devices, cash rewards, job shadow experiences, and paid summer internships at Minnesota businesses and organizations. Students can submit applications for the award online through Nov. 5, 2018, and Minnesota honorees will be selected and notified by January 31, 2019. 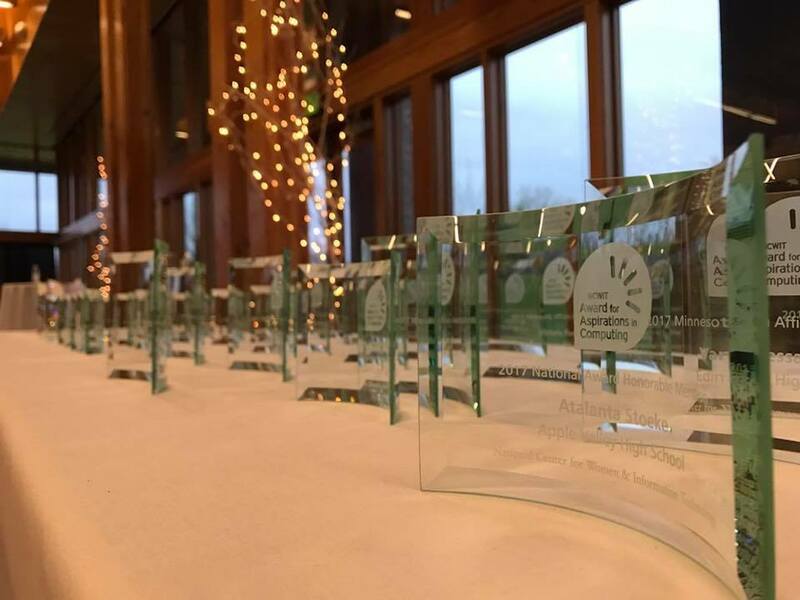 Award winners will be honored by sponsors, partners, educators and family members at an April 2019 awards ceremony in Vadnais Heights, MN. All Minnesota applicants will automatically be entered into the national awards program. National winners will be honored at a National Award Celebration in March 2019, hosted by Bank of America. Formerly known as Advance IT Minnesota, the IT Center of Excellence engages employers, educators, technology professionals and learners to develop a more robust IT workforce in Minnesota. A Center of Excellence within the Colleges and Universities of Minnesota State (formerly MnSCU), it is located at Metropolitan State University, St. Paul Midway campus. For more information, visit mnstateitcoe.org. The National Center for Women & Information Technology (NCWIT) is a non-profit community of more than 1,100 universities, companies, non-profits, and government organizations nationwide working to increase girls’ and women’s meaningful participation in computing. NCWIT equips change leaders with resources for taking action in recruiting, retaining, and advancing women from K–12 and higher education through industry and entrepreneurial careers. To find out more, visit www.ncwit.org. Stem Fuse, Best Buy, Land O’Lakes, Maverick Software Consulting, SPS Commerce, Target, Upper Midwest Security Alliance, PeopleNet,Twin Cities Chapter of the Association of Women in Computing, Code42, Collective.ly Digital, General Mills, HelpSystems, Merrill Corporation, Metropolitan State – Institute for Professional Development, Minnesota Twins, Thomson Reuters, Unisys, Veritas Technologies, ESP IT, Microsoft, Minnesota Computers for Schools, Securian, Stoneridge Software, BDPA, CoCo, College of St. Scholastica, Information Systems Security Association, Prime Therapeutics, Nerdery, Minnesota High Tech Association – Women Leading in Technology. You can become an impactful partner too! To find out how, visit Sponsor Aspirations Awards.